Is your dog a Flower Power Pooch? 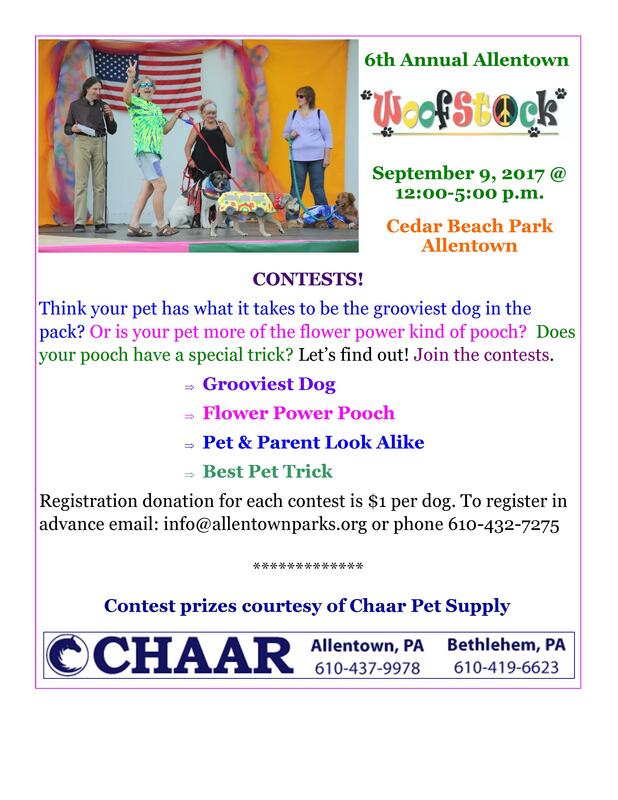 Perhaps Allentown’s Grooviest Dog? Enter your pooch in this year’s Doggie Contests – four to choose from. It’s easy – you can register at the event or on-line! Registration donation: $1/dog per contest. Does dog or owner/handler have special needs? If yes, please describe.